Than you for your feedback. Your reservation had been cancelled and your full refund was in process before you posted your review. Unfortunately, you were not eligible for the promotion offered by your preferred resort since did not meet the resort's eligibility requirements. The sponsoring resort sets forth the eligibility requirements for the promotional packages since they are paying the 70% discount on behalf of qualified guests. When the resort discovered that both you and your husband are full-time students, the resort – not BookVIP – required proof of your combined annual income to confirm that you were eligible for the promotion. BookVIP contacted you with resort’s request and you decided did not want to move forward with the reservation. You contacted our customer service directly and we resolved the situation by canceling your reservation and issuing a full refund. 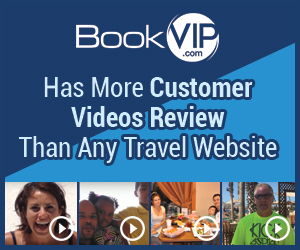 We have an A+ rating with the Better Business Bureau, send over 100,000 people on vacation per year and have more customer video reviews than any other travel site: http://bookvip.com/sitereviews. after me providing all the information they originally asked for, now i am required to send in a copy of my income form. i do not feel comfortable giving that information out. i would just like to be refunded my money. there was no problem any of the other times i spoke with someone about my reservations and even called the hotel to verify about my reservation. all of a sudden now they want proof, after i have been billed. like i said i am not comfortable sending out my personal information. it is bad enough that ive been told everything went through and has been completed. then why now do i need to send in proof? if it has been completed and is good to go? Product or Service Mentioned: Bookvip Customer Care. I didn't like: One day its confirmed then the next need additional information. Review #1107037 is a subjective opinion of bobbirae.